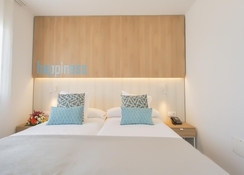 Labranda Alyssa Suite Hotel is just two kilometres from the fabulous sandy beach of Playa Blanca where guests can enjoy a cooling sea breeze and ample sunshine. Featuring 120 guestrooms furnished in a contemporary style, this hotel offers guests luxurious accommodation with warm hospitality. Free Wi-Fi is available throughout the property. Situated within close proximity of bars and restaurants and the city centre, this hotel has a sparkling pool with a pool bar, playground for children, volley and tennis courts for the rest and relaxation of guests. Guests may enjoy delicious cuisine at the buffet restaurant or chill at the lobby bar. 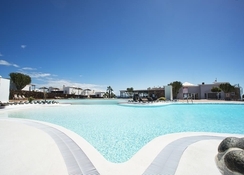 Stay at this property to enjoy your fabulous beach break at Playa Blanca in the Canaries. 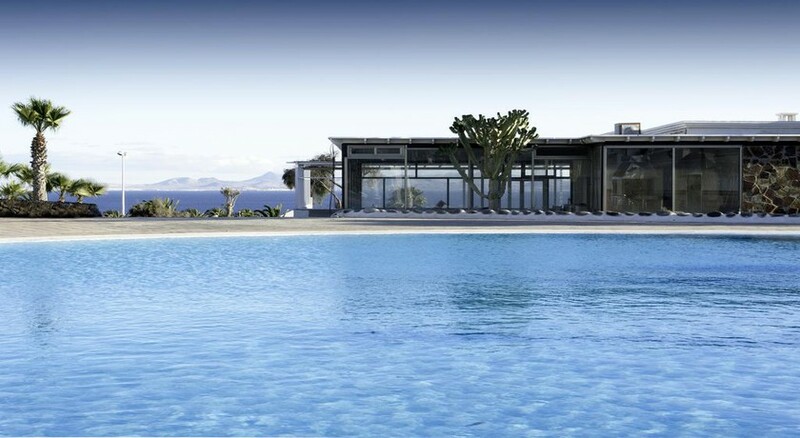 This property is located in Montana Roja at the foothills of a volcanic mountain, barely 5-minutes stroll from the shoreline of Playa Blanca. 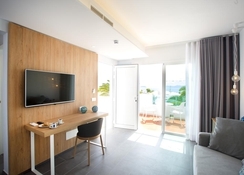 Highlighting free Wi-Fi all through, Labranda Alyssa Suite Hotel offers settlement in Playa Blanca, 30km from Puerto del Carmen. Costa Teguise is about 48km from the hotel. The closest air terminal is Lanzarote Airport at 34km. There are 120 well-appointed guestrooms at the Labranda Alyssa Suite Hotel with outfitted porch or gallery offering stunning garden or sea views. The rooms are furnished with recliners and table, hairdryer, safe, mini refrigerator, satellite LCD 43" TV, two twin beds and a couch bed for one grown-up or two youngsters up to 12 years old. 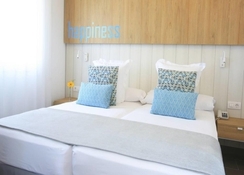 The two bedrooms can accommodate a family with two children. There also Suites for physically challenged guests, available upon request. Labranda Alyssa Suite Hotel features two restaurants. The restaurants, one of which is buffet styled serves up delicious local and international cuisine prepared with the freshest ingredients. There is a snack bar serving tasty light bites and drinks by the pool. Enjoy your drinks in a fine ambience at the lovely Lobby Bar. The hotel’s all-inclusive option allows guests to enjoy unlimited water, soft drinks, coffee, tea and juices, local spirits, draught beer and house wine. They may also consume upto five alcoholic and three non-alcoholic cocktails as part of the package. The lodging has an outdoor pool, and visitors may appreciate a comfortable walk on the beach. The hotel likewise offers bicycles and cars on hire. An assortment of recreational activities await guests, for example, billiards, stretching, darts, tennis, ball, French boules, table tennis, beach volleyball and football. The hotel has a Mini Club for kids and organizes exciting shows every day. Had a fabulous break at this lovely hotel. Quiet and peaceful. Lovely pool area and bar where you could get snacks during the day if preferred not to go to the dining room. All staff very friendly. Only a taxi ride to Playa Blanca. wonderful clean hotel with brilliant staff great choice of food. Although not a great fan of entertainment the guy who organised games quizzes etc was very enthusiastic and made you feel you should join in.I would recommend this hotel and would go there again. A different hotel offering apartment style accommodation with hotel facilities. Well appointed leisure facilities, clean well maintained pools. Beautiful landscape gardens throughout. Food was excellent, good choices, excellent quality and hot, which is always a plus for me when it is buffet style. Drinks were of good quality, not too keen on the pre mixed cocktails. I have never been at an AI hotel where almost everyone went for lunch. Staff were pleasant, and kept themselves in the background. Darren looked after entertaining every one too. The evening entertainment was located at the pool bar, seating is limited and a rethink required if it is raining, one night it was wet and cold. The brought in entertainers were good and created a lovely atmosphere. It's location is at the end of Playa Blanca promenade allowed full access to the town and harbour with a leisurely walk. Throughly enjoyed and can recommend.